The addiction rehab process involves four key steps—intake, detox, rehabilitation, and ongoing recovery. Intake consists of a comprehensive evaluation, which is then used to create an individualized treatment plan. Detox manages unpleasant withdrawal symptoms. Rehab involves extensive therapy, which aims to rectify drug-seeking behaviors. Ongoing recovery provides individuals with long-term support and relapse prevention. The journey to a healthy, sober life is not a quick and easy one. It is a lifelong commitment of dedication and hard work. The rewards gained from transforming a life of addiction into a life of recovery, however, are immeasurable and well worth the effort. Like any journey, the road to sobriety begins with simple steps forward. Intake is the process of determining whether a particular rehab center is a good fit for you (and vice versa). This is a stage to ask the questions of the center that are most important to you. The rehab center will also have some questions for you and may ask you to undergo some diagnostic tests or screenings to best determine how the program can most optimally tailor its treatment plan to you and your particular needs and stage of addiction. The center will likely be interested in knowing the severity of your addiction, your personal drug use history, family history of addiction, and even financial arrangements for treatment. When it comes to addiction rehabilitation programs, there is no shortage of options available to you. So remember that it's both important and feasible to search for a program that's a good match for you. If you feel comfortable with the facility you've chosen, you're more likely to stick with the program and see it through to its end — increasing your chances of long-term health and sobriety. 1. Addiction not only affects your behavior but also affects your brain. 2. Treating addiction as early as possible is important for successful outcomes. 3. You do not have to go in voluntarily for treatment in order for it to be effective. Many individuals are compelled to go to rehab by the court system, their place of employment, or family or friends — and they are still able to achieve recovery once they go through the program. 4. There is no one-size-fits-all solution to treatment. Different treatments and facilities work more effectively for different people. 5. Effective treatment should holistically address all areas of your life — not just your substance abuse or addiction. 6. Mental health conditions are often linked to drug addiction and should also be evaluated and addressed in your treatment. 7. Treatment programs should also assess for any coexisting infectious diseases such as HIV, hepatitis, and tuberculosis. 8. You must commit enough time to treatment in order to effectively overcome your addiction. 9. Physical detox is important but is only the first stage of treatment. Long-term behavioral change usually requires a process of behavioral therapy and ongoing support. 10. The most common form of treatment is behavioral therapy — which may involve some combination of group, family, and individual therapy. 11. Pharmaceutical treatment is often necessary in conjunction with therapy. 12. Good treatment programs will monitor you for any possible relapses throughout the course of treatment. Regardless of whether you choose inpatient addiction treatment or outpatient care, the intake process will be nearly the same and conducted by a counselor at the facility. Inpatient treatment programs remove those struggling with addiction from their old ways of life and place them into a treatment facility that offers 24/7 care from staff personnel. This inpatient care helps to eliminate stress by removing the individual from temptation and the ability to relapse — both during detox and during rehab. Inpatient or residential treatment is frequently the recommended treatment type for individuals who either have long-standing addictions or coexisting medical or mental health conditions (known as dual diagnosis). A hospital. Inpatient facilities at hospitals offer more intensive, around-the-clock access to medical services and supervision from healthcare professionals. A residential facility situated outside of a hospital setting. Some inpatient facilities that are not hospital-based will not offer around-the-clock access to healthcare professionals. However, they do offer 24/7 care from staff personnel, and access to various hospital-based services will be arranged when necessary. Luxury inpatient facilities offer plush, resort-like amenities that can help make your stay more comfortable. Executive inpatient facilities provide a high-end environment that caters to busy professionals, allowing these individuals to maintain an ongoing involvement in their work responsibilities while still undergoing inpatient addiction treatment. Outpatient programs are very similar to inpatient programs, with the exception that you are permitted to return home each night after your treatment. If you have significant work or familial obligations — such as caring for children or elderly parents — outpatient care allows you to maintain some of those responsibilities. Outpatient care is a good option for those with more mild or short-lived addictions. It may be a less optimal choice for those with serious, long-term addictions or for those with dual diagnosis conditions. Detoxification is generally a safe process when undergone in a supervised medical setting. Since detox for certain individuals and substances can be potentially very severe — and in some cases, deadly — it's not advised for individuals to detox on their own at home. When a person takes a drug or consumes alcohol regularly, the body becomes accustomed to having certain levels of the substance in it. Once the substance is removed, the body may begin to experience withdrawal symptoms. Depending on the substance used, withdrawal symptoms can even start to appear within a couple hours, though they usually tend to appear within the first 24 hours after the last drug dose. The method of treatment — including any pharmaceutical assistance — received during detox will depend on the specific type of addiction being treated. Prior to detox, you will likely be assessed by professional medical personnel to determine what type and degree of pharmaceutical assistance may be needed during your detoxification. While certain addictions may not require a detox process to proceed with rehabilitation therapy, other addictions — such as those to heroin, opiates, and alcohol — often require medications to ease the severity of the withdrawal process during detox. Often used during detox from heroin or opiate prescription medications, methadone helps to ease those struggling with addiction off the drugs. Generally, the dose of methadone given is slowly reduced over time in hopes that individuals will eventually be free of all drug dependence. Some of those recovering, however, continue to take methadone for years — or even for the rest of their lives. For some, methadone itself can also be addictive. This possible risk of replacing a former addiction with a new one is one reason why treatment approaches can vary by the individual. Buprenorphine is also used to treat addictions to heroin and prescription opioid medications. In recent years, buprenorphine has become the increasingly preferred alternative to methadone treatment, because it doesn't cause patients to feel any type of "high" — which makes abuse less likely. Similar to methadone, the goal for most patients who take buprenorphine is to taper the drug dosage over time. However, some patients continue to take it for months or even years. Reduce the likelihood of seizures in detoxing patients. Decrease the intensity of withdrawal symptoms. Help relieve anxiety and depression that are often associated with the detox process. Barbiturates act as mild sedatives — helping to relieve anxiety, irritability, and discomfort during the detoxification process. Like benzodiazepines, they may also help to reduce one's risk of seizures, which can be common during alcohol detox. Once individuals get through the initial detox from drugs or alcohol, they will continue through rehabilitation. This is where patients get to the core reasons behind their addictions, addressing those issues so they can effectively move on with their lives without going back to drugs, alcohol, or their addictive behavior. Patients often do some inner work by identifying when they began using the substance and why they started abusing it. Patients receive strategies on how they can direct their time to focus on getting involved in new hobbies or interests. Time management skills are taught to allow patients to better use their time so they have less opportunity to think about relapse. Patients learn to identify drug use triggers and how to deal with these triggering situations when they come up. If patients have a plan for various tempting situations, they are more likely to put their plan into action and avoid relapse. This type of cognitive behavioral therapy addresses both the thoughts that patients have in relation to substance abuse and also the thoughts they have about life in general. It helps individuals reform their thinking patterns and make behavioral changes toward a healthy, sober life. The addiction rehabilitation process usually includes group therapy. These group sessions allow those recovering from addiction to interact with others who are in the same situation. It is often helpful for recovering individuals to know that they are not alone in their struggles. Similarly, others in the group find solace when these individuals share their own stories of addiction and recovery. This sense of community support is integral to the recovery process. Many addiction rehabilitation facilities offer family therapy as part of their program. Addiction is far-reaching, affecting many people — not just the one individual with the addiction. Family members are often those who are most deeply affected by their loved one's addiction, and they are an important component of the recovery process for that person. In some rehab programs, family members are welcomed to participate in family therapy sessions. During these sessions, family members can discuss pain caused by their loved one's addiction and their desire to see that person live a healthy life. Family therapy can help to resolve issues so the family can serve as a pillar of support once their loved one leaves the rehabilitation facility. Even after patients have completed their rehabilitation program, they are not finished with recovery. In fact, for many individuals, recovery is a lifelong process, requiring their ongoing work and attention. At times, the path to lifelong recovery may feel easy. Other times, it will be difficult for individuals to withstand the temptation to relapse. Like anything in life, it's a journey that may feature varying terrain, so lifelong support is essential. 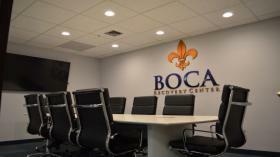 Prior to leaving an addiction treatment program, the patient will meet with counselors to discuss a plan for aftercare. Many addiction rehab facilities offer follow-up programs to assist patients as they return to normal life. These follow-up plans may include weekend stays at the rehab center when the individual feels a touch-up stay is needed. Or a patient may live in a sober living facility for a while with other individuals recovering from addiction. While in a sober living facility, recovering individuals perform chores, work at an outside job, and participate in group therapy sessions. This offers a supportive transitional time for those recovering from addiction before being thrown back into "normal" life. Many patients maintain regular therapy sessions post-rehab, and some submit to scheduled drug testing as a way to keep them accountable to their sobriety. Group therapy is a wonderful method for building a support system in your local area. Alcoholics Anonymous (AA) and Narcotics Anonymous (NA) are a couple of the more well-known 12-step groups that many individuals recovering from addiction attend on a regular basis. Both AA and NA have meetings all across the country at easily accessible times. Some individuals find the type of support they can get in very specific 12-step groups is more beneficial — whereas others gain the help they need from more general support groups. In these aftercare support groups, it's often said that participants get what they give, so they are encouraged to interact with other group members and share their experiences with the group. Once those recovering are more established in their sobriety, they may choose to mentor those who are newly recovering. If you or someone you love has questions concerning the rehabilitation process, call an admissions consultant or treatment helpline that can provide you with information about rehabilitation programs, and, ultimately, help you find the help you need to achieve long-term recovery. Calls are always confidential, private, and secure. When you call a helpline, a caring and nonjudgmental admissions consultant will answer the phone. 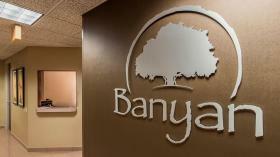 They may ask you some questions so they can get a clearer picture of your treatment needs. It will be helpful for you to have your insurance card ready so you can provide them with your policy number, so they can verify your benefits and ascertain which rehabs accept your insurance. Other details you should disclose include mental health conditions, medical concerns, special population considerations (like teens, veterans, or LGBTQ), substances used, length of addiction, and amount used on a regular basis. I don’t want to take the time for a full rehabilitation program. Can’t I just go through detox? Detox is not a cure; it only treats the physical component of addiction. The real problem lies in the psychological component which is why you started abusing a substance in the first place. If an addict only goes through the detox process, it is very likely that they will return to drugs or alcohol once they leave the facility. I have an addiction to oxycodone but I don’t want to use any medications during detox. Isn’t the whole point to be free of drugs? Yes, that is the ultimate goal of many recovery programs; however, it is not feasible for many addictions. For certain addictions, such as those to heroin and opiates, the body has become accustomed to the levels of the drug. If those levels drop suddenly, serious health implications exist and the patient could even die. Medications must sometimes be used to mitigate those risks. Many patients are able to reduce these medications over time and eventually be wholly free of drugs. I’m a high-level executive. I won’t be able to relate to others in group therapy at an addiction rehabilitation program. Many facilities offer programs catered specifically to executive or high-powered individuals. These programs are often more expensive but include luxury amenities, such as gourmet meals, spa services, private rooms and secluded locations. In group therapy sessions at luxury rehab facilities, participants often come from similar demographics so patients are able to relate to others there.